Idaho Sen. Fred Martin, a Republican from Boise's District 15, faces a likely recount with the unverified vote totals showing him just 6 votes ahead of Democratic challenger Jim Bratnober. BOISE — The Idaho 2018 midterm elections are wrapping up with The Associated Press calling the winners and losers of all but one legislative race. Idaho doesn't typically doesn't do automatic recounts, but does allow the loser of a race to request that a recount one be done for free if the difference in votes is less than one-tenth of one percent of the total. With a total of 17,890 votes in the District 15 State Senate race, the six vote margin is well under the 17-votes-or-fewer threshold for a free recount. 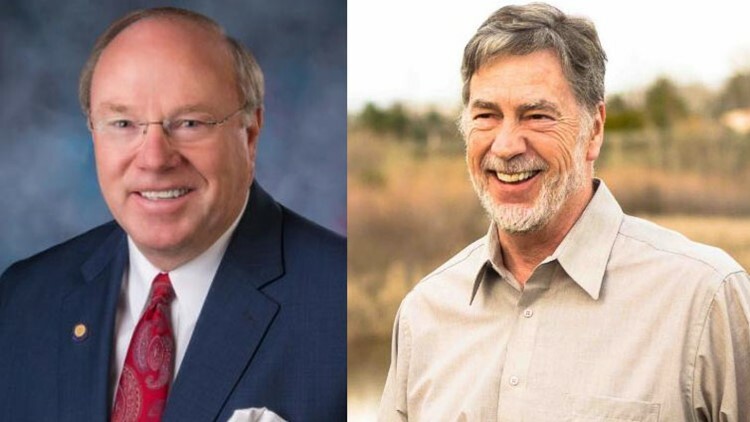 Also in District 15, which covers a portion of West Boise, both incumbent representatives were defeated on Tuesday night. Republicans Lynn Luker and Patrick McDonald lost to Democrats Steve Berch and Jake Ellis.